Choosing surgery: Shooting for success, surrendering to sacrifice. | The Endo The World? Choosing surgery: Shooting for success, surrendering to sacrifice. I am now booked in to have my excision surgery at the end of August at UCLH. The plan is to remove as much as my endometriosis as possible (from my bowel, diaphragm, peritoneum, pouch of douglas, and ovaries), drain my endometrioma, and unstick my uterus and ovary from my abdomen wall. Regular readers of this blog will know that this surgery has been very hard fought for, so I really hope that it is a success and that it enhances my quality of life. But this is so different when you have endometriosis, because there is no cure and no appealing treatment options. And, at times I feared, no happily ever after. But I REALLY want happily ever after, so following much thought I decided that I am willing to take risks and fight for that ending. But making these decisions (i.e. to have surgery or a new hormone treatment) it isn’t easy and the path is riddled with more danger, pain, and uncertainty than I feel is really fair to ask of us. My experience with a chronic illness. In order to get better, I have to accept that things will be much worse first. I’ve had one laparoscopy before, but that was a minor procedure whereas this surgery is classified as a major one because of the amount of work being done internally. As a result I face a greater amount of pain and a longer recovery period, before I can start reaping any benefits to my life. I’m also not great at sitting about and resting, so I imagine I will spend my sick leave worrying myself half to death. So that’ll be fun. After my surgery I’m going to have a Zoladex injection too which I’ve heard mixed reviews about. I am going to have to take a four month break from my PhD. I will not be paid during this time. I will be physically, emotionally, and financially reliant on my husband and parents during my recovery. Guilt doesn’t even begin to describe how this makes me feel. I can (just about) cope with endometriosis negatively impacting upon my life, but I have always tried to shelter the people I love from its grasp. I hate the idea of having to rely on my husband for money, to ask when I need things. And I hate that he and my parents will be having to go without because of me. Hopefully this will not be the case. I have limited control over the outcomes of my surgery. I am going into this surgery for of hope that it will help improve my life, but I know that this is not guaranteed. 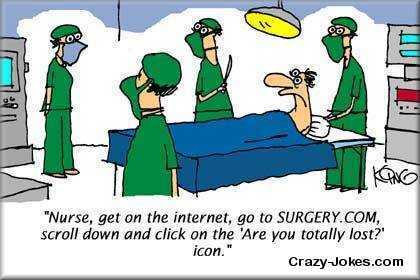 With any surgery there are risks and potential complications. My former surgeon actually advised me against having any further endometriosis surgeries because of these, she said: ”The risks aren’t worth it for a disease which isn’t life threatening.’‘ She clearly has never had to live with a chronic illness. In my case the amount of bowel work that will be done means that I may end up with a temporary colostomy bag :S I don’t look forward to this and am hoping and praying that it won’t happen, but sadly it is not an outcome I can control. I have limited ability to plan for my future, both in the short and long term. While all this is going on, it’s just impossible to make plans. Not that stops people asking: ”When will you be back at work? When will you finish your PhD? When are you getting a job? When do you want to move house? When shall we have a baby?” I just don’t know right now, and I find that hard as I’ve always been a natural planner who is sure of their next step. I don’t want to face any of these things, but I will do anything to try and feel better. I know my life can be so much more than it is right now, and I know that I can be brave and get through this somehow. It makes me so angry that I and all you other wonderful women have to go through these repeated surgeries and hormone treatments in the hope of some relief. I don’t think healthcare professionals or employers understand the massive impact that these things have on our personal and emotional lives. But all we can do is have hope, and be brave, and keep believing that things can be better for us. I’d love to hear your thoughts about any sacrifices you’ve made to have treatments for your endometriosis or chronic illness. 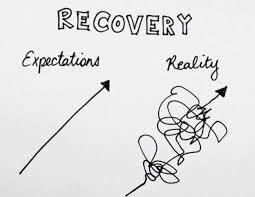 Or how you get through the difficult times pre/post surgery. ← My chronic illness story for Endometriosis UK. Hi Claire sorry to hear that your suffering has gotten so bad that surgery seems your only option. I’ve heard good feedback about excision but I know resting get and giving your body what it needs is so important. I’ve been on zoladex for five months; I’ll admit that it did not help my pain levels much. As for side effects hot flushes take some getting used to. Wishing you best of luck for your surgery! Thanks so much for this lovely an supportive comment. Am very interested to hear about your experience with zoladex too- those hot flushes don’t sound much fun at all. I appreciate the best wishes for the surgery, I will keep you all posted, and do keep in touch too.